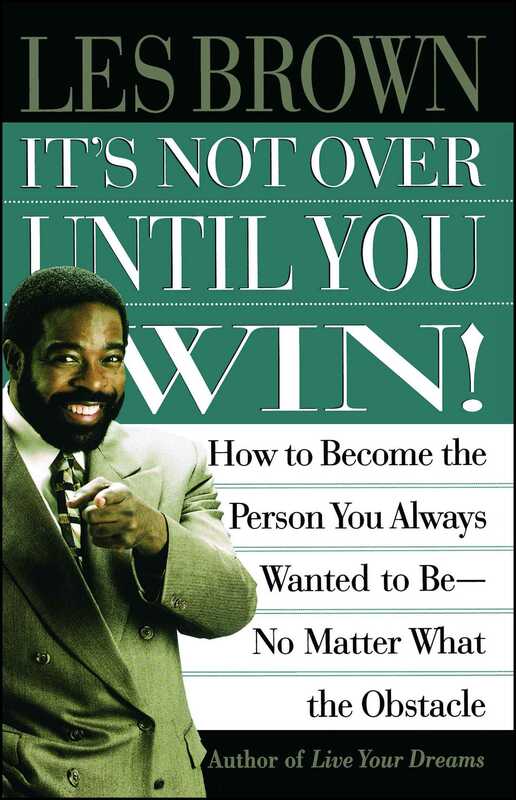 Les Brown himself has been through countless ups and downs, suffering through personal and career crises, including the cancellation of his television show and the death of his beloved mother. In this unique book, Brown tells you how he rose from those depths and how you can, too. Filled with the passion and exuberance that will empower you to overcome any obstacle, It’s Not Over Until You Win! captures the amazing spirit of Brown’s electric speaking style in a sure-fire empowerment guidebook that will galvanize anyone to take their lives to a higher level of satisfaction and fulfillment. “If you’ve got potential, inspirational speaker Brown can help you reach it” (Library Journal). Les Brown is a highly acclaimed and dynamic public speaker who conducts personal and professional seminars for leading corporate and business clients and public audiences around the world. A consummate speech coach, he conducts seminars and workshops on mastering the art of public speaking for corporate executives, political leaders, celebrities, and a wide variety of people across the country. He is well known to television audiences through his PBS specials, and was the host of the nationally syndicated Les Brown Show.